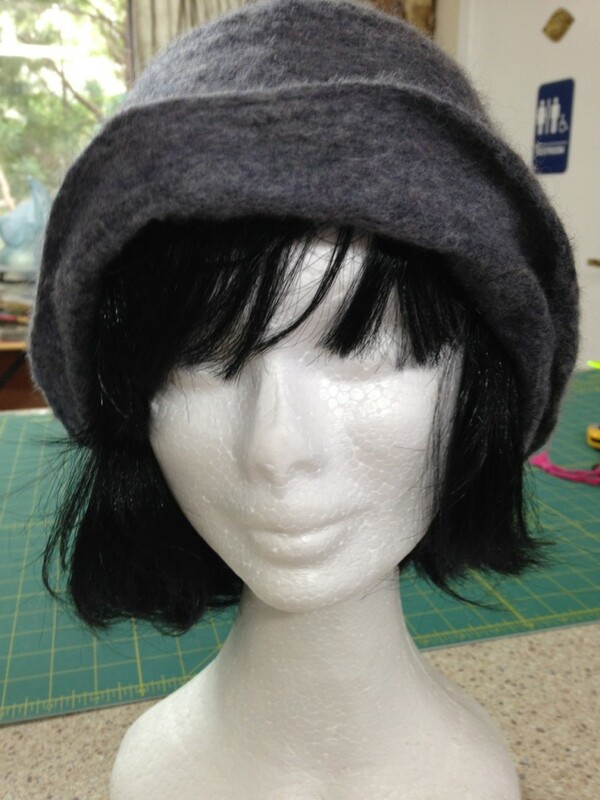 Here we see the fruits of another felting day at The Cottage. 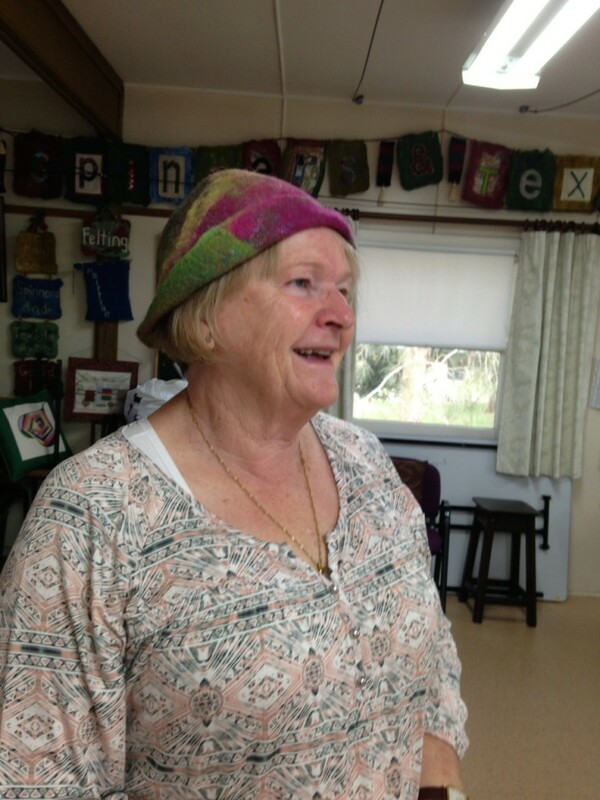 Sandra made this beautiful hat using needle felting and then wet felting. She looks great. 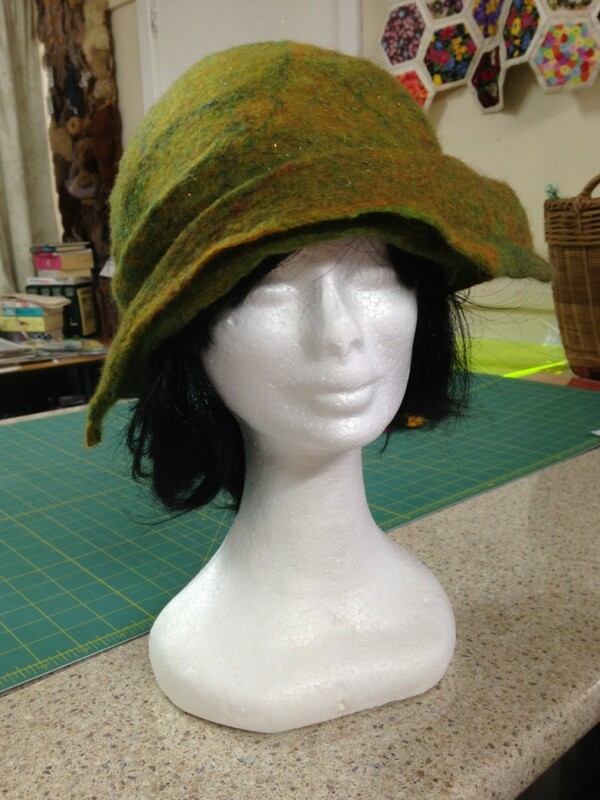 Lyn made two hats: the green and the grey. We all enjoy ourselves and that is the main thing.